Victor Harbor is the most visited destination in South Australia outside the Adelaide CBD and the second fastest growing Local Government Area in South Australia. 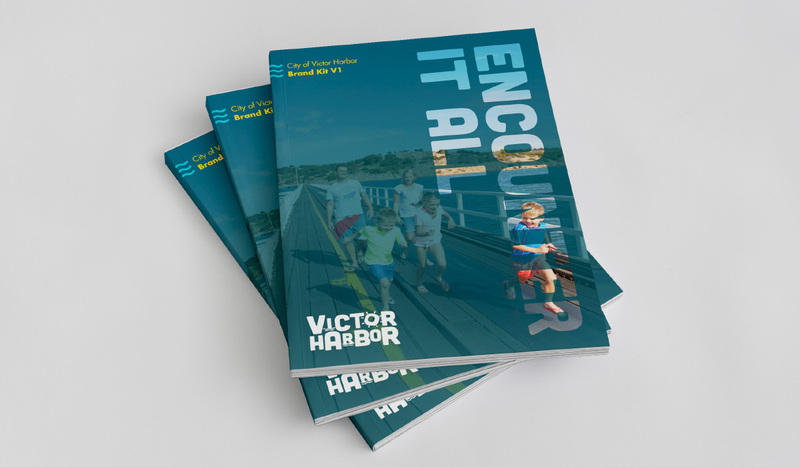 After a competitive pitch Algo Más was lucky enough to work with the team at Council to develop Victor Harbor’s first ever place brand and accompanying Brand Guidelines, messaging and tagline. 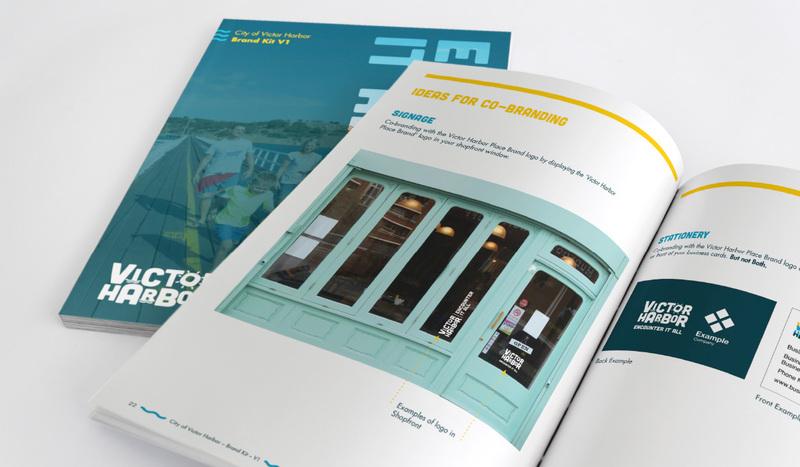 This fun, vibrant concept has been designed to tell the story of Victor Harbor’s friendly community, fun atmosphere and rich landscapes. Fun and friendliness has been created through a bouncy type that is as welcoming as it is exciting. The waves within the logo represent the coastal location, while the colours signify the ocean (blue), landscapes (granite grey – representative of Granite Island) and sunshine (yellow). The sun within the logo is representative of the wonderful climate but also serves as a reminder to audiences of the good times they have had, and will enjoy again, in Victor Harbor. The wavy water and sun element from the Place Brand logo can be extracted in isolation and used in brand collateral or merchandise. 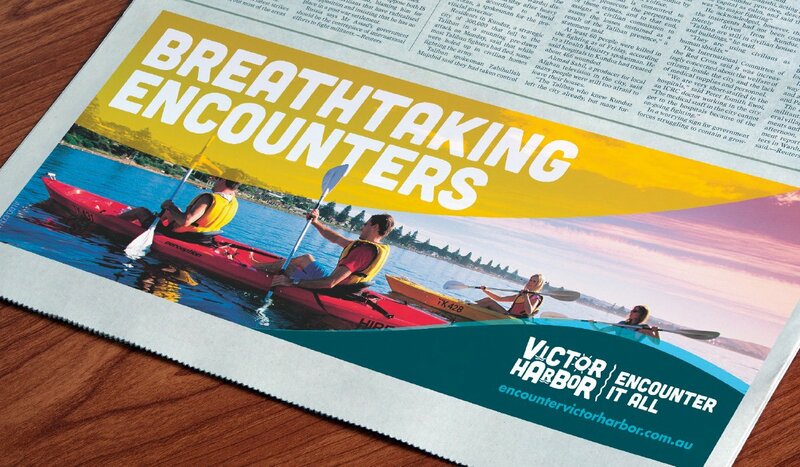 These ideas are pulled together by the tagline ‘Encounter It All’.